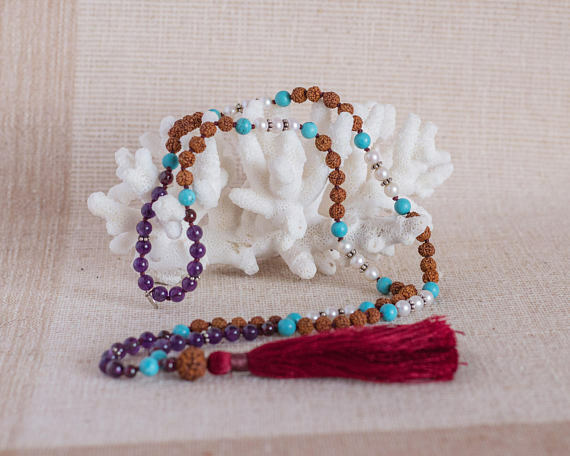 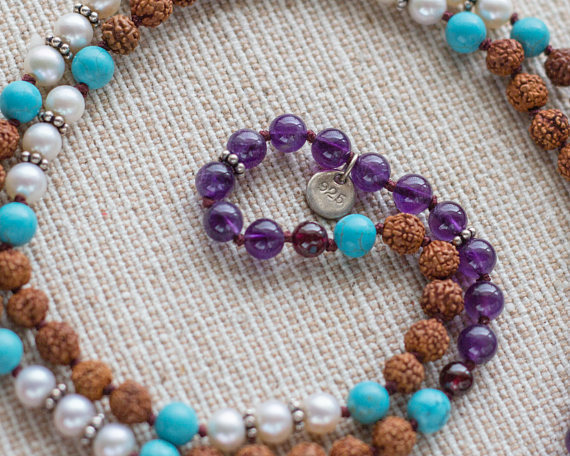 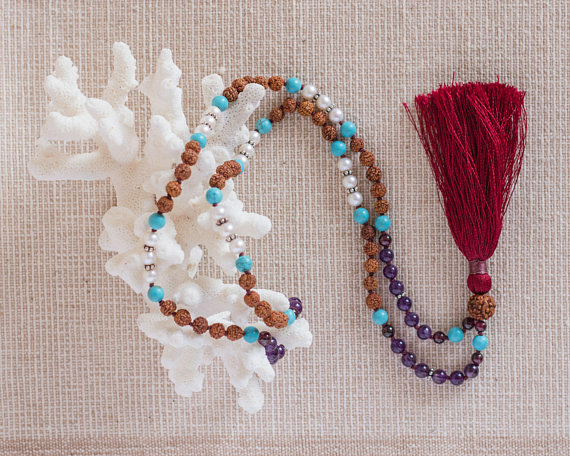 The Mermaid Mala has 108 prayer beads of beautiful Amethyst, Pearl, Turquoise, Rudraksha beads and Silver Sterling flower spacers. 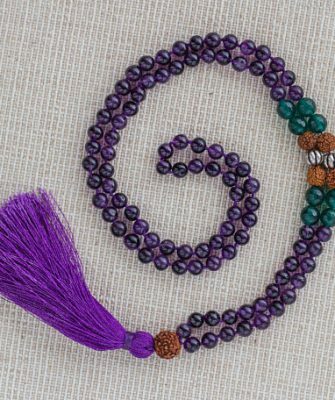 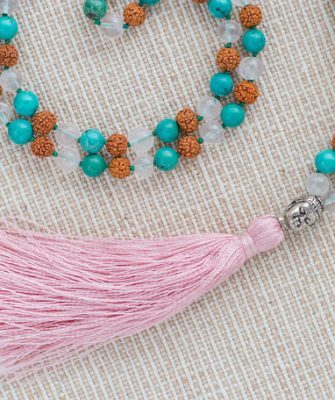 A handmade silk tassel is attached to the large main bead, known as the Guru bead. 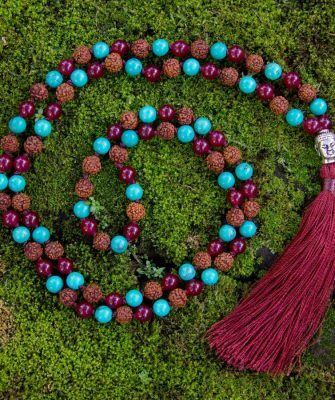 Turquoise is the stone of healing and well-being, a protective stone that has been used for amulets since time immemorial. 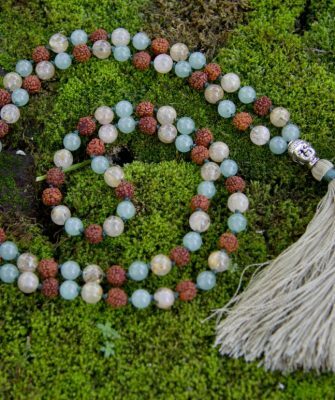 Physically, it’s an excellent stone for exhaustion, depression or panic attacks. 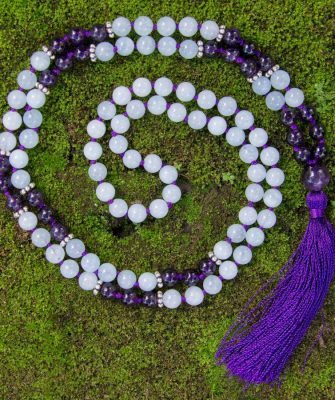 It also has a protective function against outside influences or pollutants in the atmosphere. 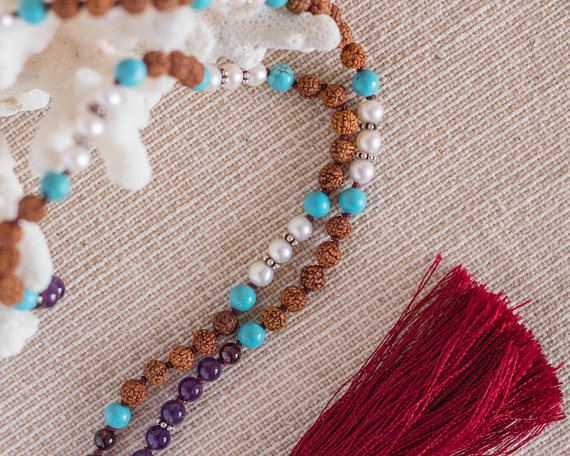 Beautiful freshwater pearls are also known as symbols of femininity, and will help you connect to you inner goddess and feminine powers. 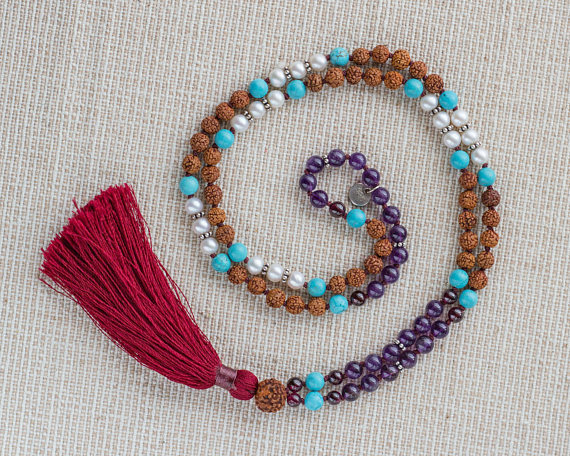 Mala measures 45 cm all the way from top to end tassel.